A light finesse style hook for rigging small worms and baits. 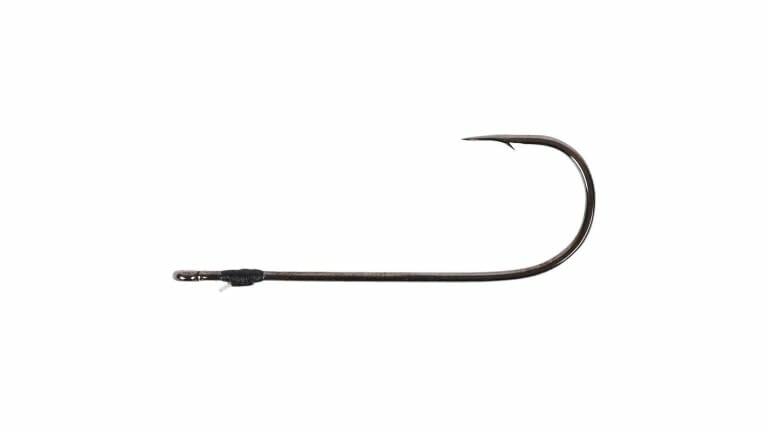 Typically used as a drop shot hook, this hook is made from fine wire for easy hooksets with light lines. The bait keeper is meticulously wrapped onto the shank to prevent the keeper from sliding or spinning. The monofilament keeper allows soft, supple baits to be threaded over it without damage, yet still holds extremely well once on the other side. Comes with Super Needle Point and Silky Gray frictionless finish.